Carlton Football Club membership is now available for 2018. These limited edition plates cost $495.00 for members or $655.00 for non-members, yet another benefit of becoming a member! We will keep you up-to-date with all the latest WA Blues events and info via email. Come on down and join in the fun! 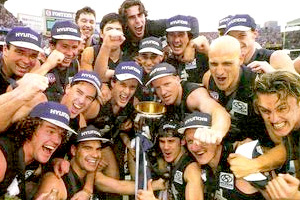 Bring your own Carlton supporting mates or make some new ones! We understand that not everyone uses social media, please visit our events page for information on WA Blues events and functions. We will keep you up to date with all the latest WA Blues events and info via email. Join now. Thank you to our sponsors for their valued support. 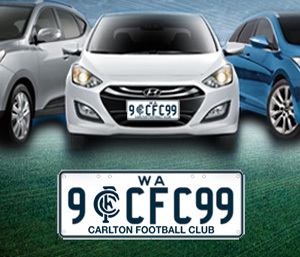 Show your support for the Carlton Football Club and be the envy of your friends with a set of these plates on your car! The plates are fully approved by the AFL and the WA Department of Planning and Infrastructure. Apply Now! Find Us at Empire Bar! Bring your own Carlton supporting mates or make some new ones! 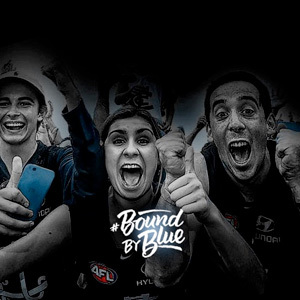 #BoundByBlue2018 Membership available, let's get to 60,000 and beyond!